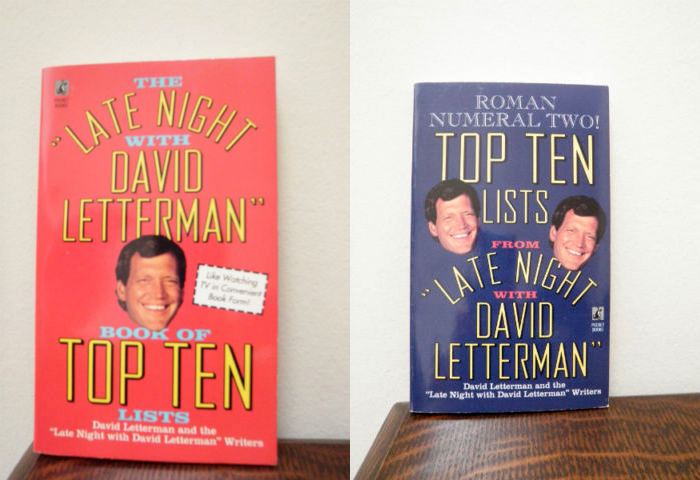 My first real exposure to David Letterman was in elementary school, when Steve Marsh brought The Late Night with David Letterman Book of Top Ten Lists and The Late Night with David Letterman Book of Top Ten Lists: Roman Numeral Two! to class. I flipped through them and then expeditiously sought out copies for myself, which I pored over like they were scripture. One listee that I remember just slaying me: Yugo Screw Yourself, from the Top Ten Rejected Model Names for New Cars. 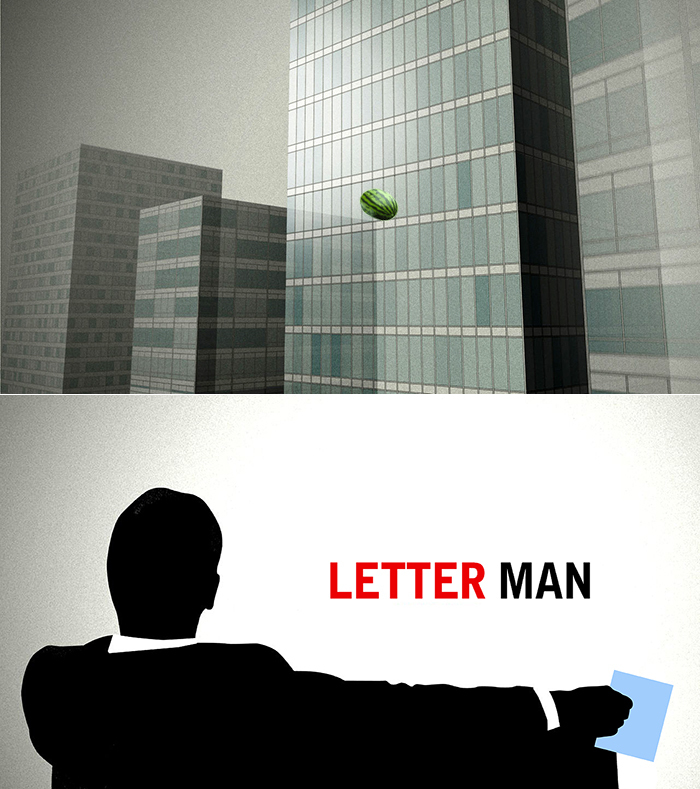 Because I was born the same year that Late Night with David Letterman premiered, most of what I know about his NBC show I gleaned from those books. 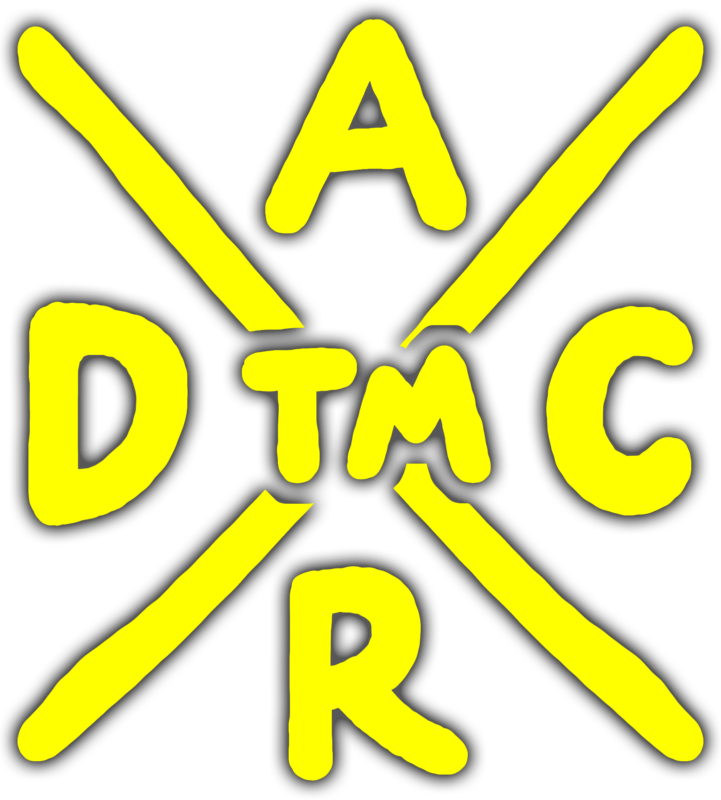 For me, David Letterman's legacy is the first few years of his CBS show, when Morty was still his producer, when he still did remotes. It was kismet that I discovered him and was an age at which I could appreciate his work at a time when he was playing to win the game. 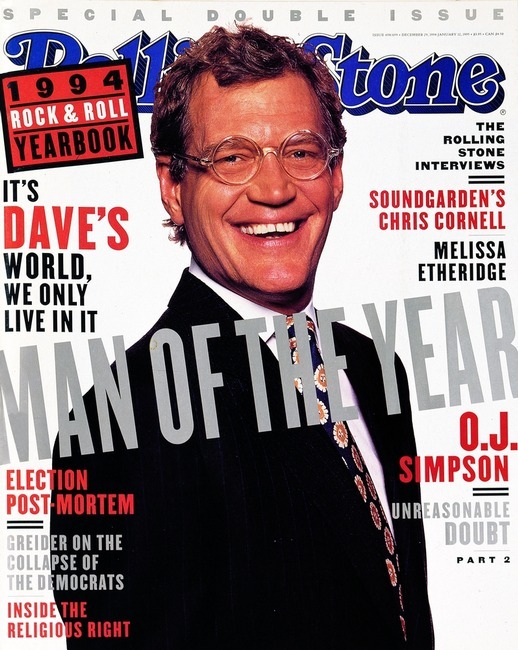 As time went on, I saw less and less of Dave, until eventually he became just one more face in late night. It happens sometimes. Entertainers come in and out of your life like busboys in a restaurant. Although I haven't watched his show regularly in more than ten years, I know I'll miss him forever. I never had any inspirations later on like the ones I had when I was twelve. Jesus, does anyone? That remote also features a dipstick prank that I wanted to take behind my middle school and get pregnant. 2. "Would you like to buy a monkey?" Kaufman and Lawler were supposed to apologise to each other, followed by Andy singing "What the World Needs Now Is Love." Instead, they fooled the world for 13 years.